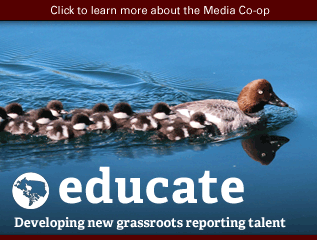 The Media Co-op is a multi-stakeholder cooperative, which means that we're run by our reader, contributor and editor members. 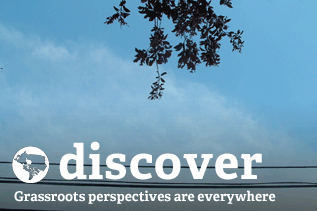 The more people we have involved in making the co-op work, the more we're able to provide quality content to our readers in small towns and big cities across Canada and around the world. If you are a less experienced journalist or community member and are considering writing for The Dominion (our bi-monthly magazine) or the Media Co-op for the first time, have a look at our writer's guide, which you can access here. You can learn more about the Media Co-op network's structure by reading the document at this link. For more general information about the co-op, visit our About page. 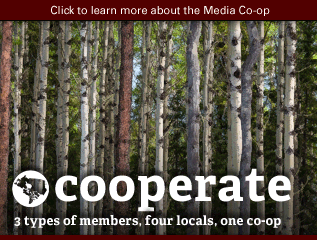 If you have contributed four featured stories to the Media Co-op over the past year, or to The Dominion twice, you are a contributing member of the co-op. This brings additional benefits, including enhanced consideration for payment, priority access to our call outs, and access to a supportive network of editors and illustrators. The Media Co-op pays for a couple of stories every month. Set up an account on the Co-op and pitch yours here. To find out more about contributing, click here. If you'd like to be added to our contributor email list, click here. Pitches should be less than 200 words and include your planned sources and research. An entire story submitted as a pitch will not be considered for payment. The Media Co-op currently pays a flat rate of $100 for accepted stories. Articles are either 750 or 1500 words. See the video guidelines for length of videos. Editors reserve the right to suggest changes and edit stories (with your participation, of course!). Pitches should capture the content, tone and style of the story you plan to submit; if the content submitted differs significantly from the pitch, editors reserve the right to withhold payment. We accept pitches at any time. 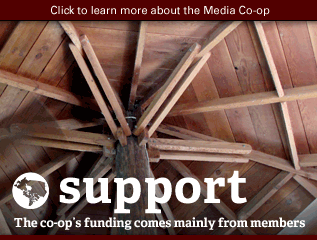 The Media Co-op recently launched an investigative fund. Click here for information about the fund, and here to pitch. Check back regularly for info about upcoming deadlines. Click here for more information on writing for The Dominion. 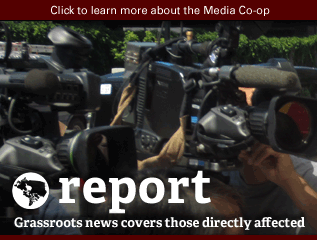 Beyond writing, there's other ways to get involved with the Media Co-op, Canada's most exciting independent media project. We offer paid and unpaid internships for folks wishing to get hands on experience running a news organization. Please email info at mediacoop dot ca for more information on internships, or keep an eye out for postings on our homepage. You can also join in to one of our weekly organizing conference calls, which take place on Monday mornings. These calls are a great way to get your feet wet with organizing, and virtually meet the organizing collective behind the magazine. 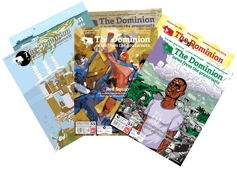 We also have calls to drum up fundraising ideas, and to discuss post-production of each issue of The Dominion. 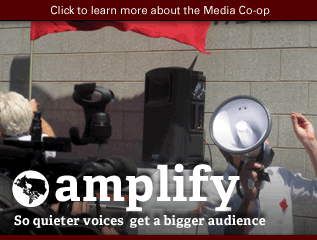 Please write info at mediacoop dot ca for detailed call in information. 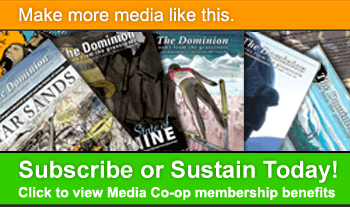 The Media Co-op's central functions, as well as The Dominion, are co-ordinated by editor members, a handful of reader members involved in finances in a part time staff capacity, and our Board of Directors. Our editor members, copy-editors and other staff are all listed in The Dominion's masthead, which is listed on the right hand column of the homepage. Each local also has a local editorial collective, which is autonomous from the central collective. 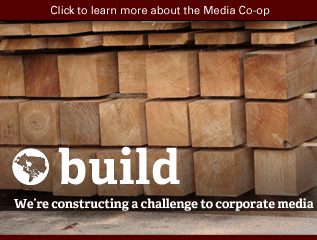 The Media Co-op has nine directors, who provide guidance and oversight to the organization. 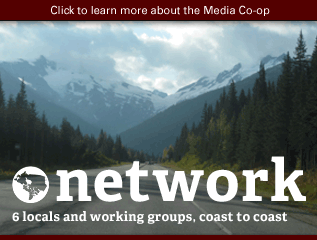 Click here learn more about the Media Co-op's board members (access minutes from our Annual General Meetings, where the board is elected coming soon).